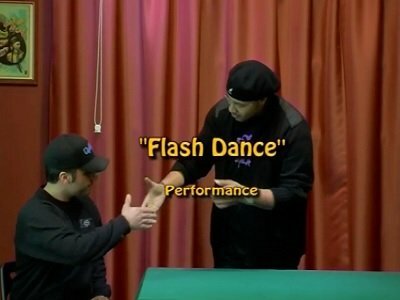 One of the most well-known American close-up magicians with a very visual 3 coin production using flash paper wads and a total vanish of the coins. Routine comprises of several mixtures of gaffs. Clever and easy to do. Beginner/Intermediate level, for stand-up workers.